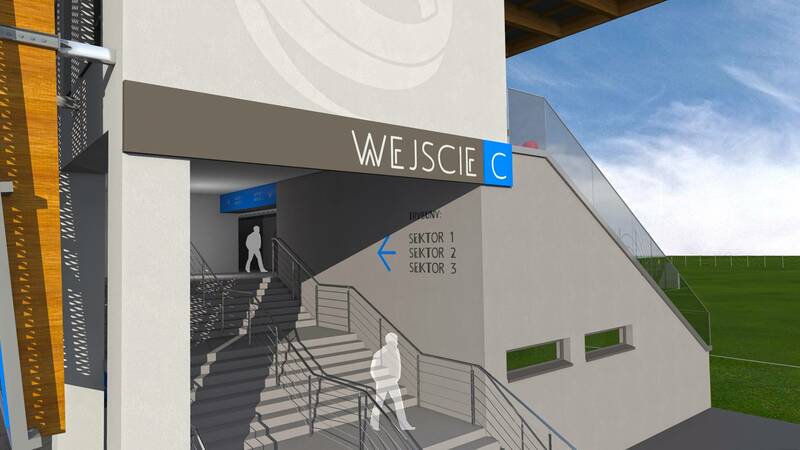 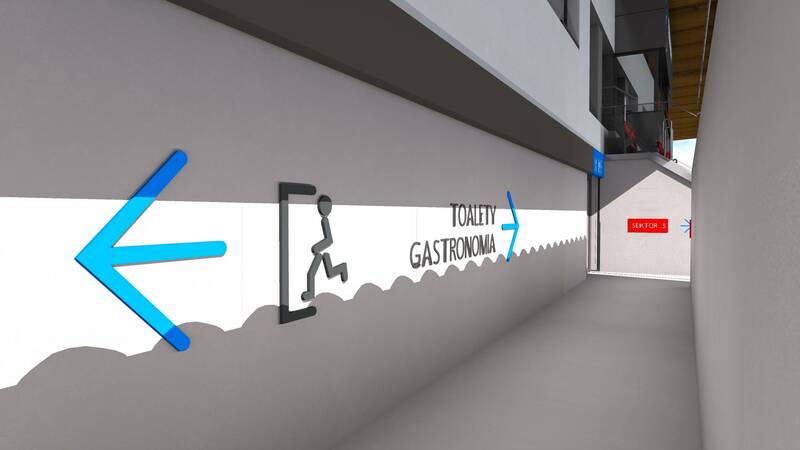 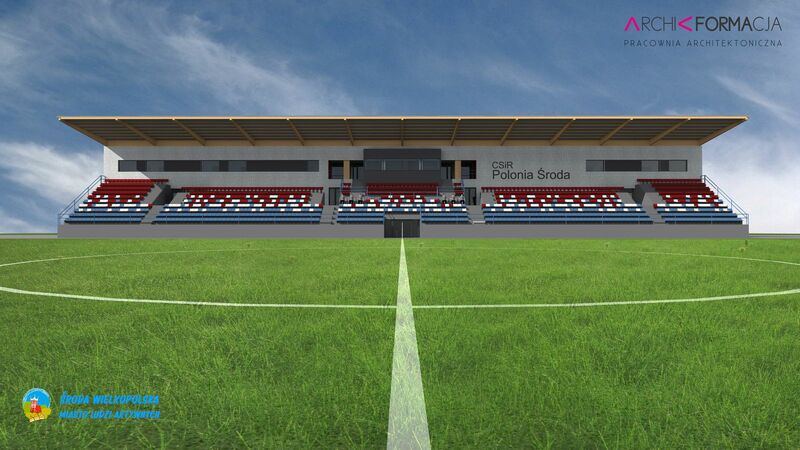 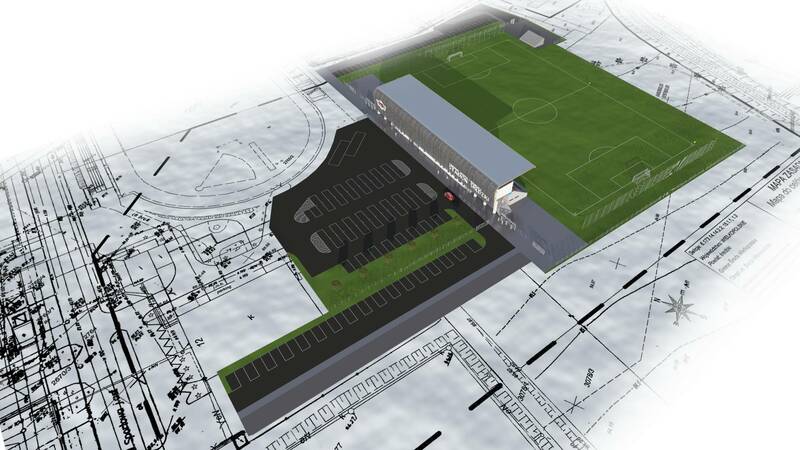 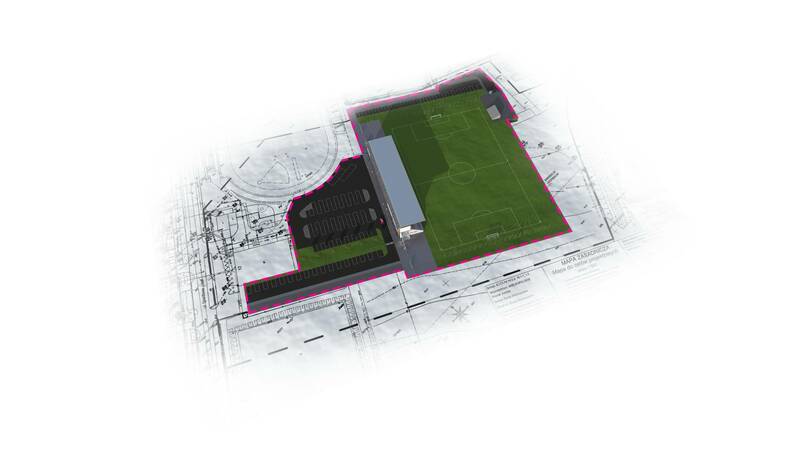 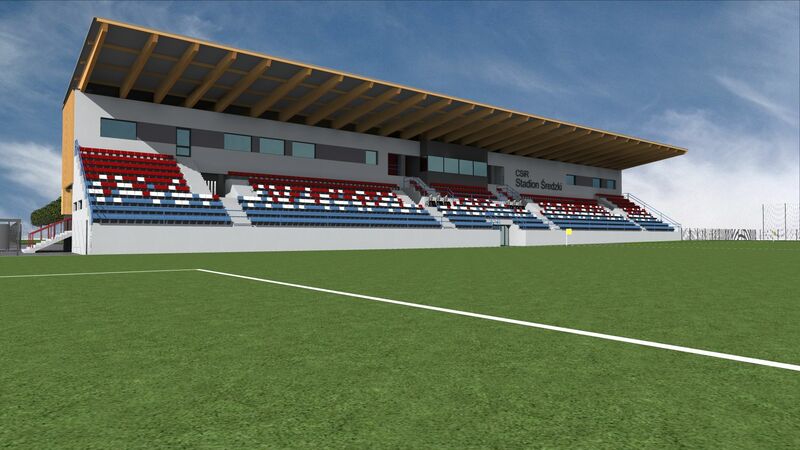 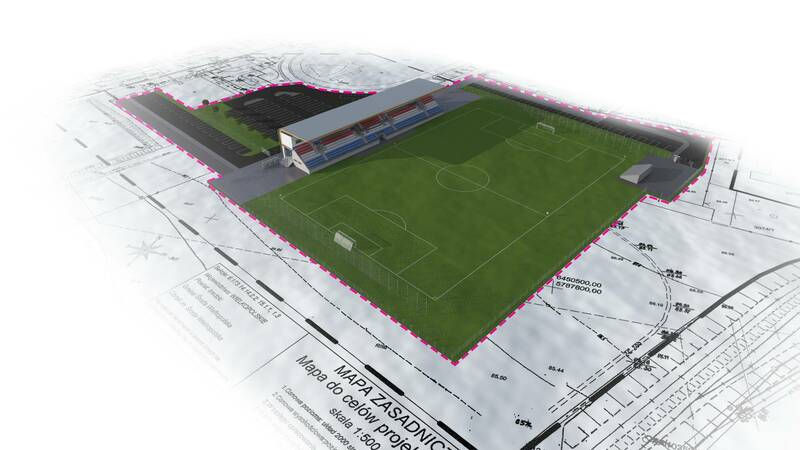 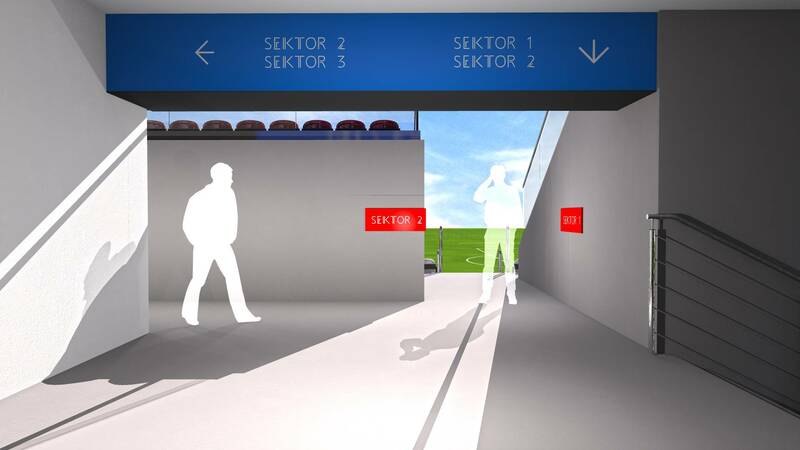 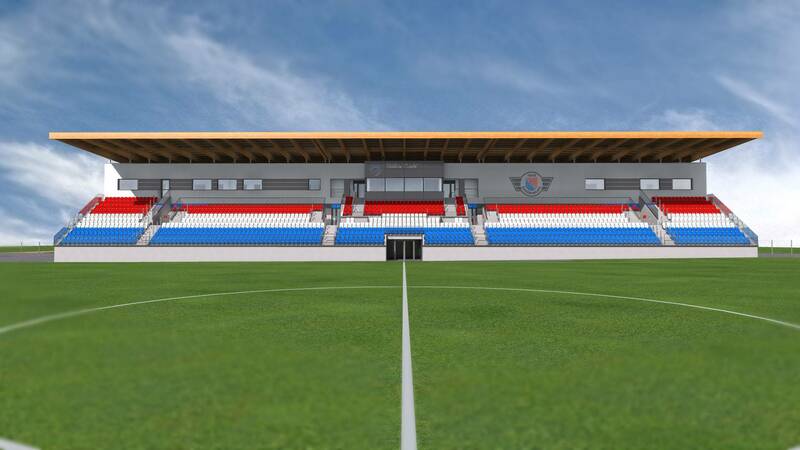 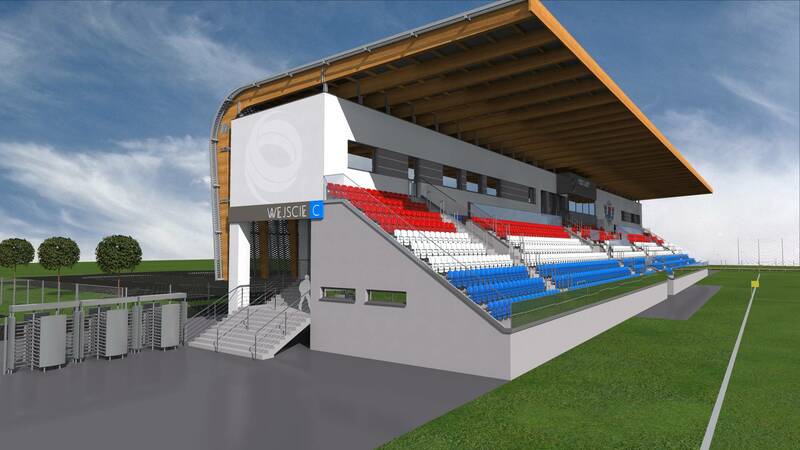 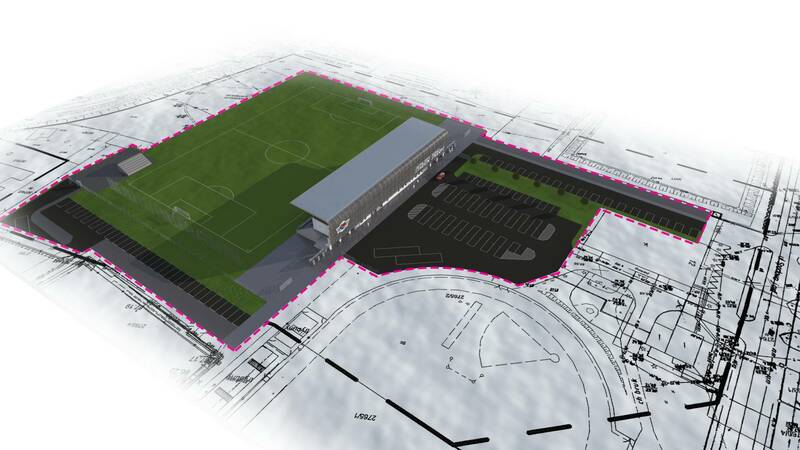 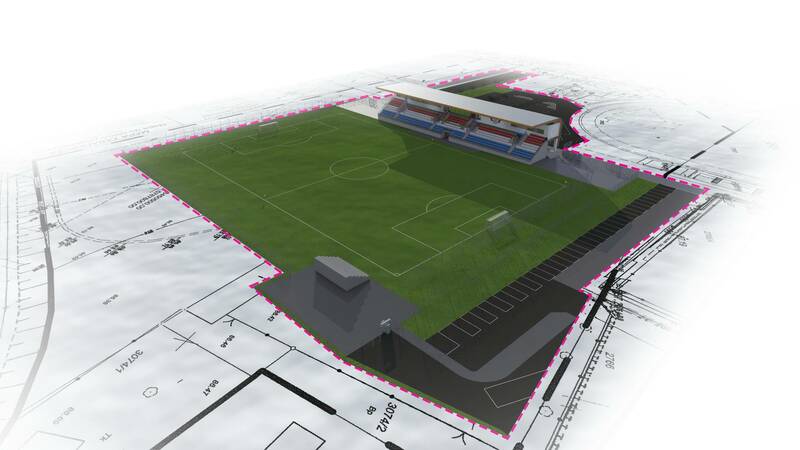 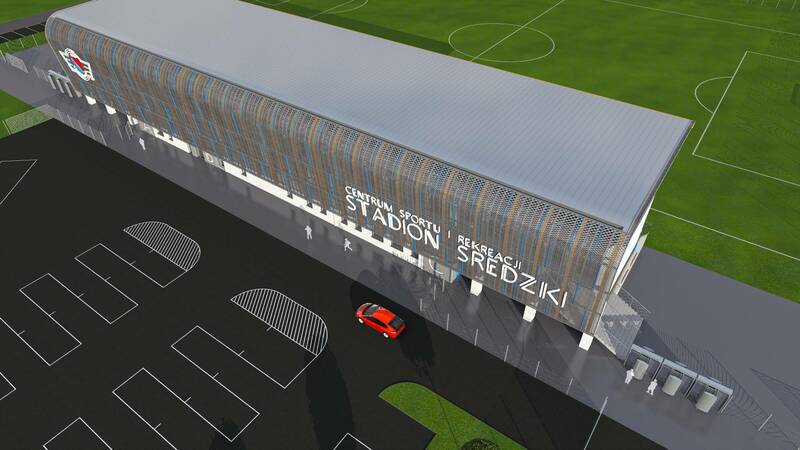 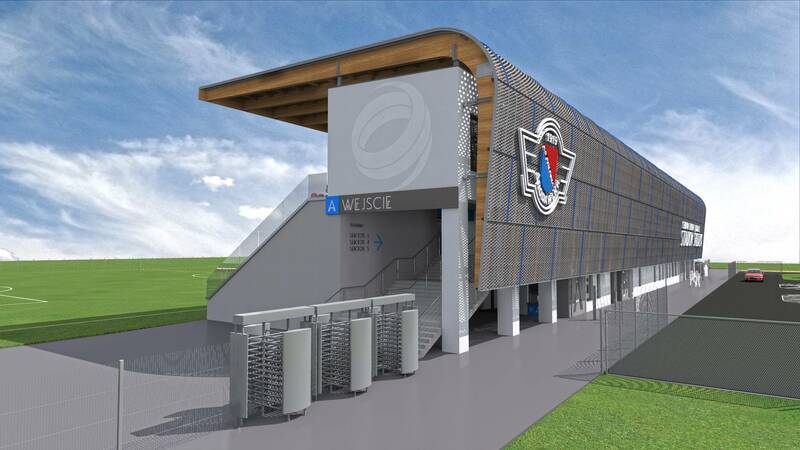 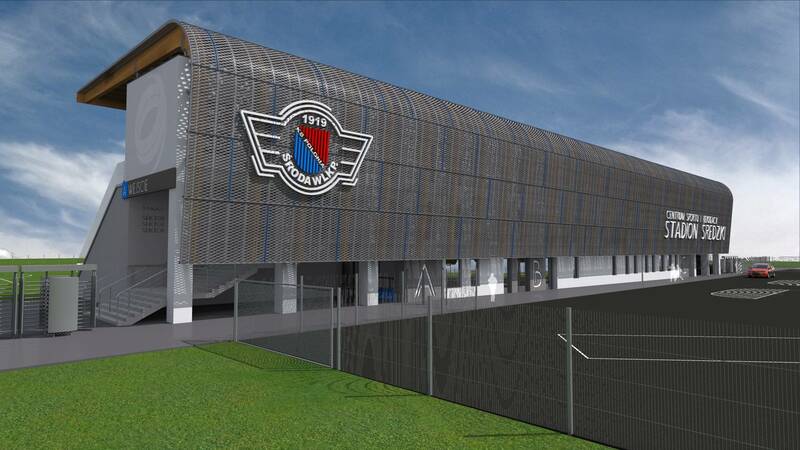 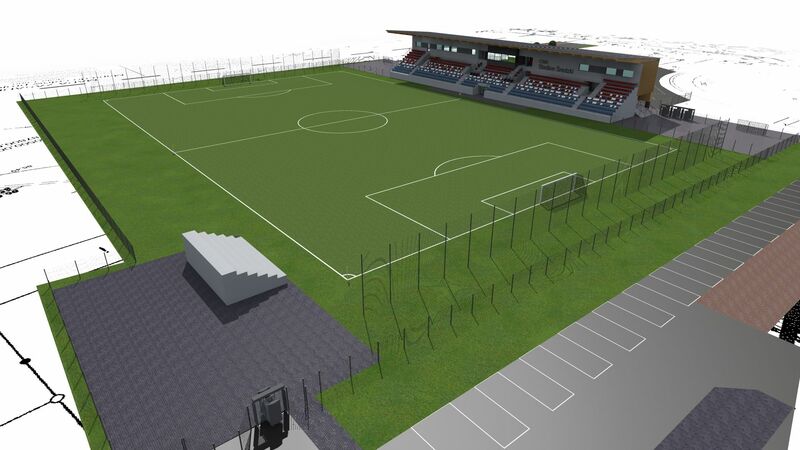 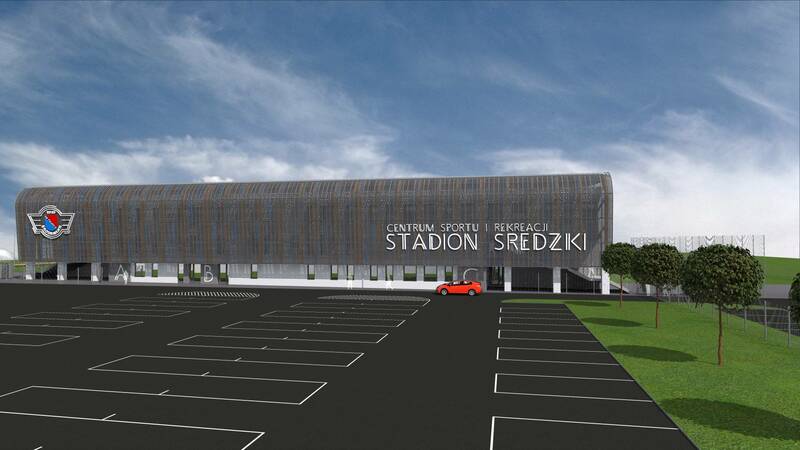 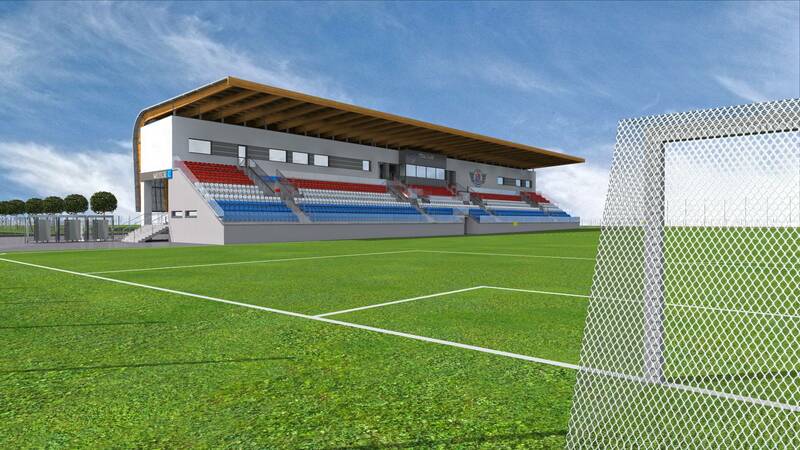 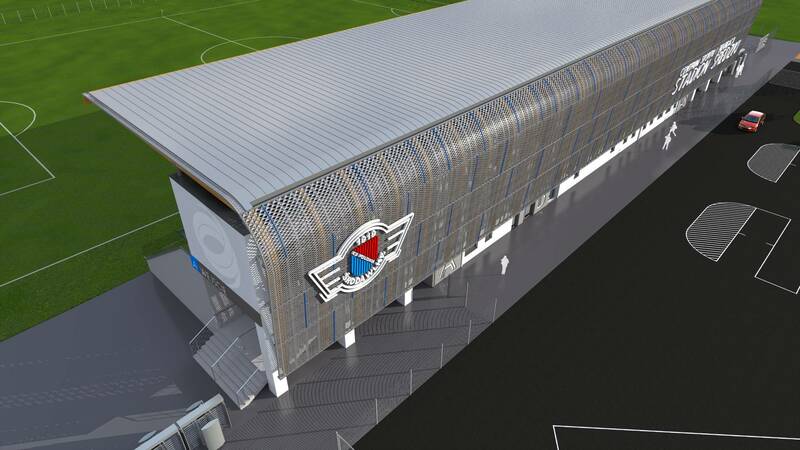 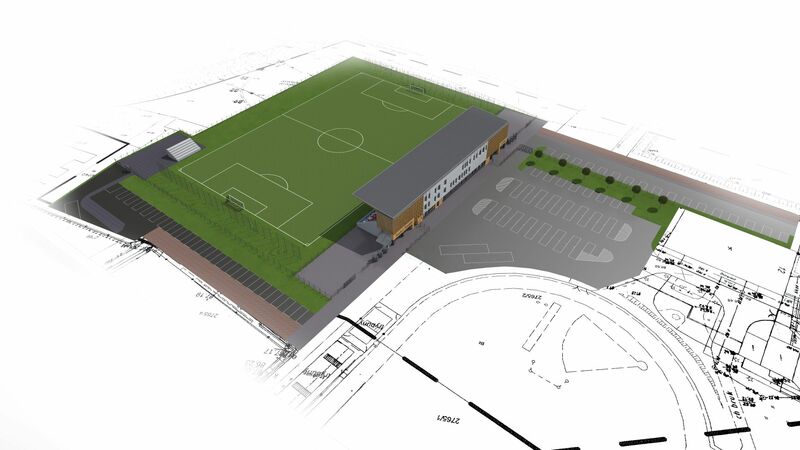 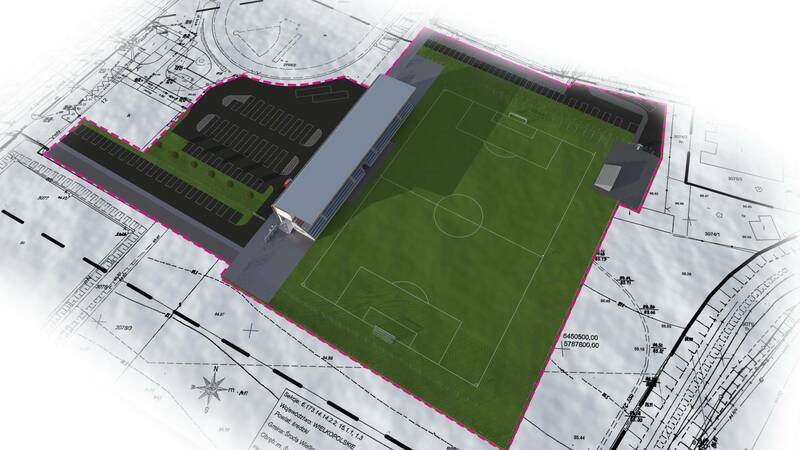 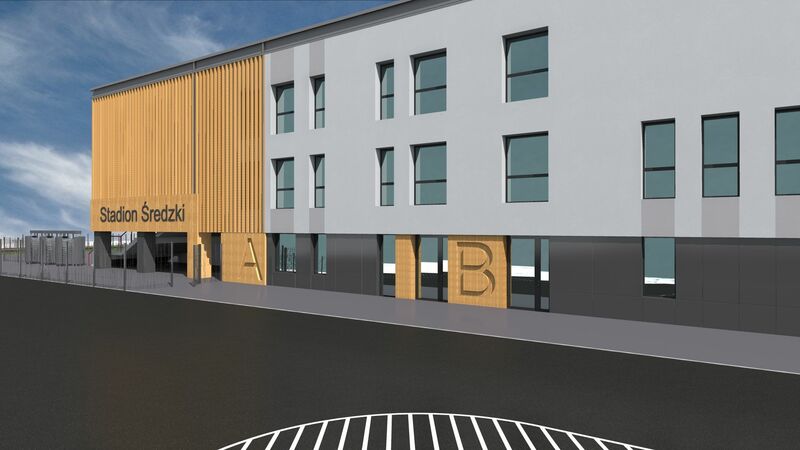 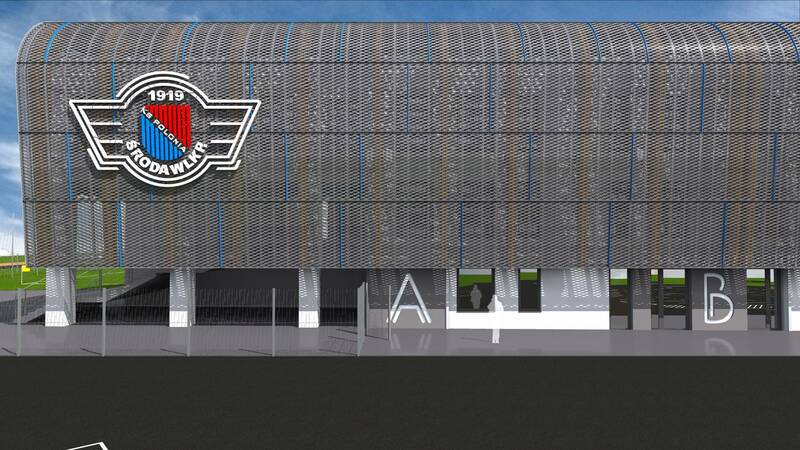 New stadium in Środa Wielkopolska would be built directly adjacent the existing multi-use stadium. 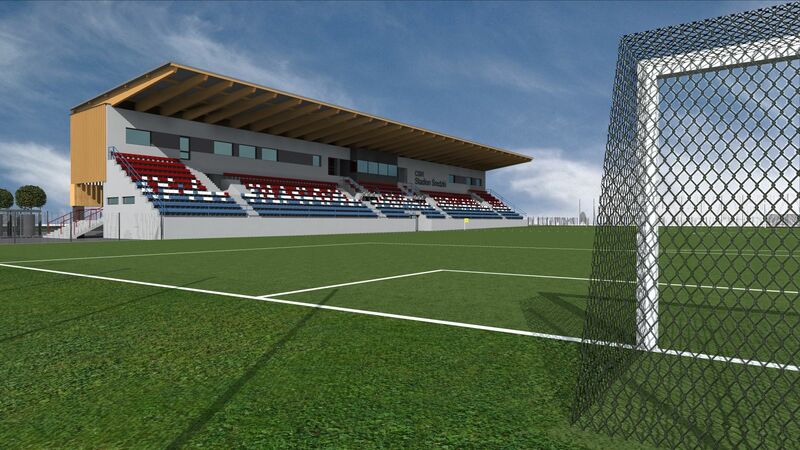 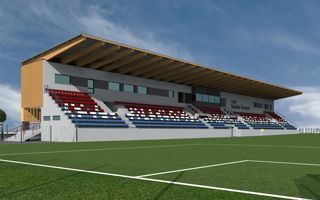 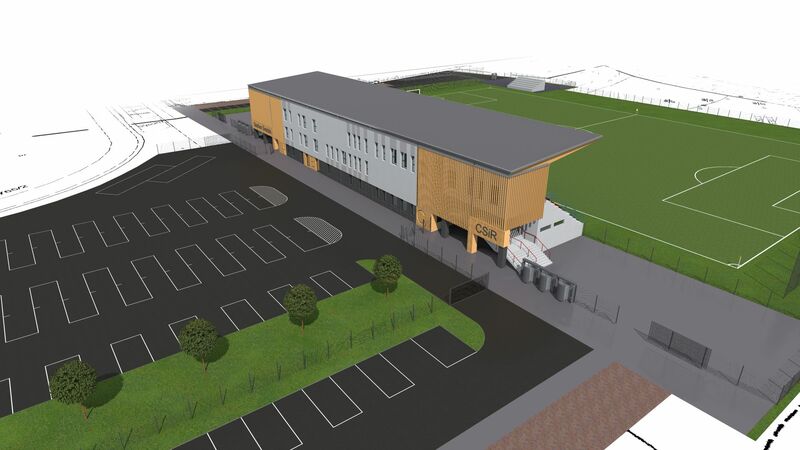 While slightly smaller in terms of capacity, the stadium will offer more floor space than any current facility within the municipal sports complex. 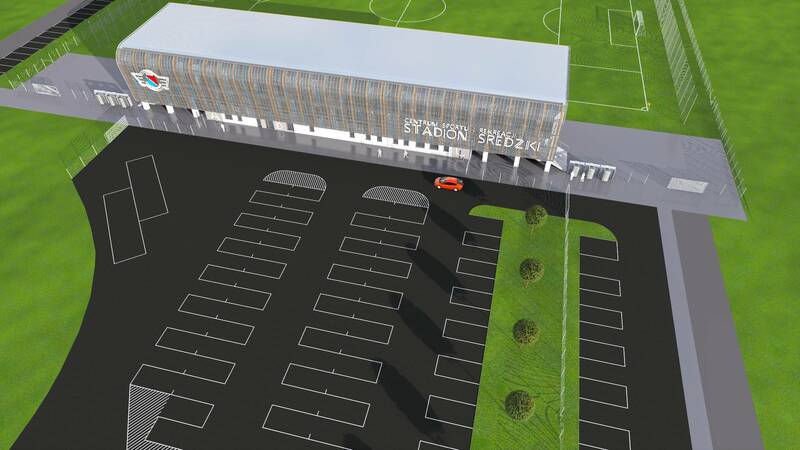 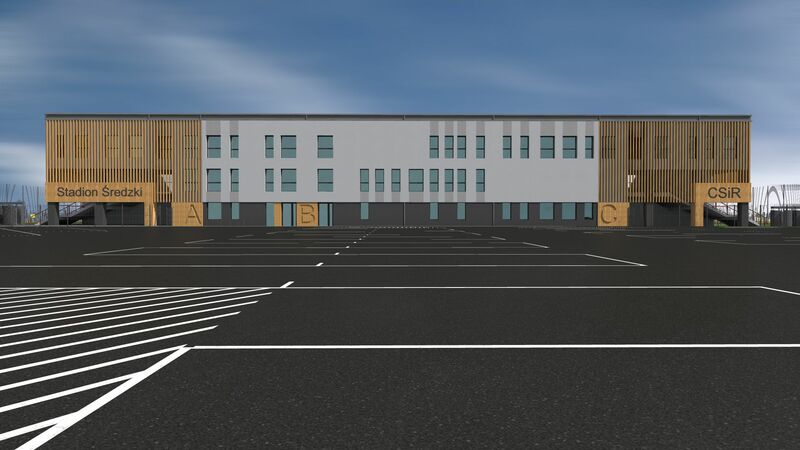 With 150 parking spaces in the foreground, the grandstand is simple, but efficient. 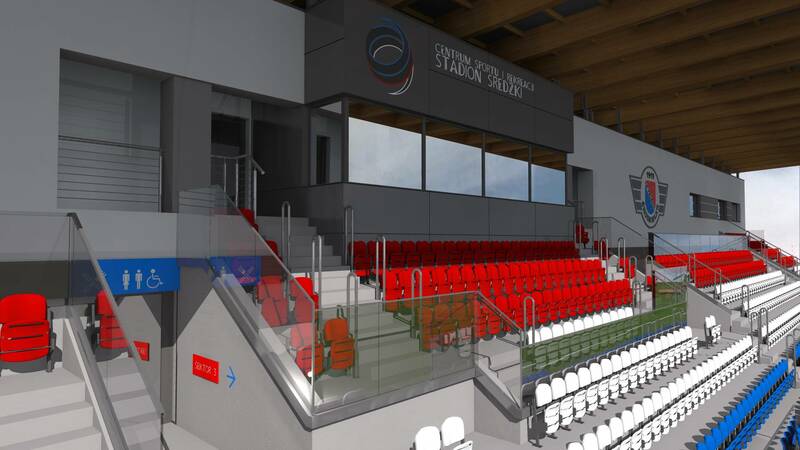 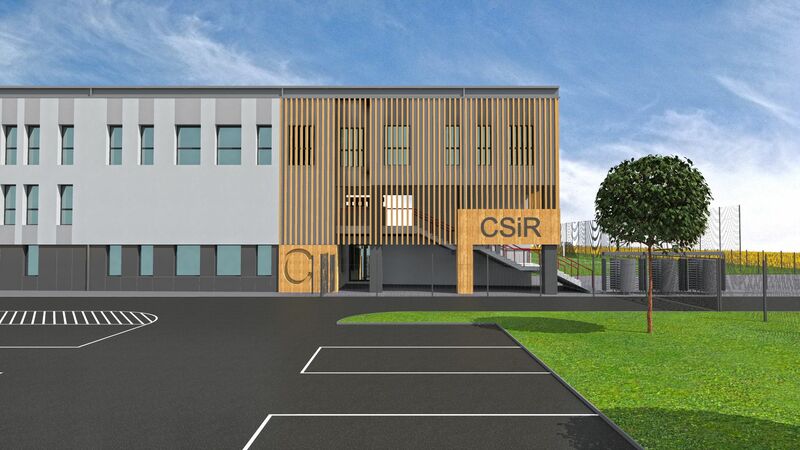 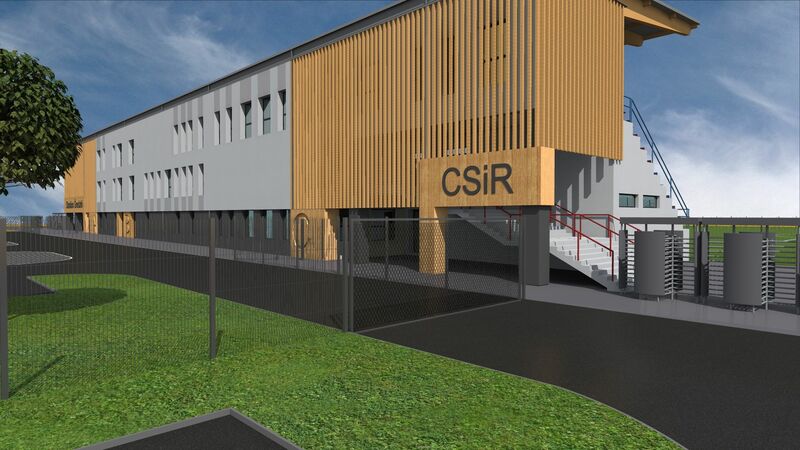 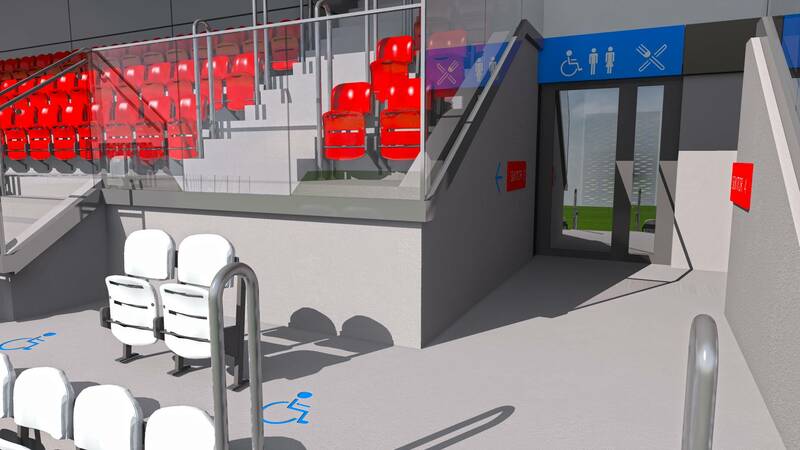 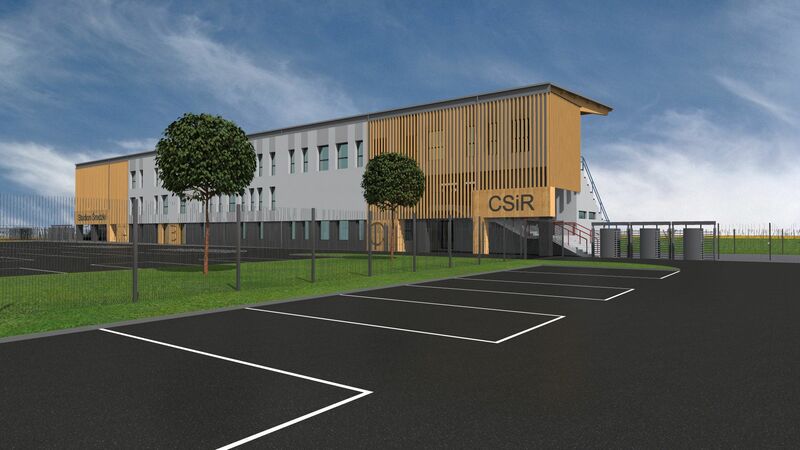 It will accommodate 1,140 people, of whom 80 within the central VIP zone. 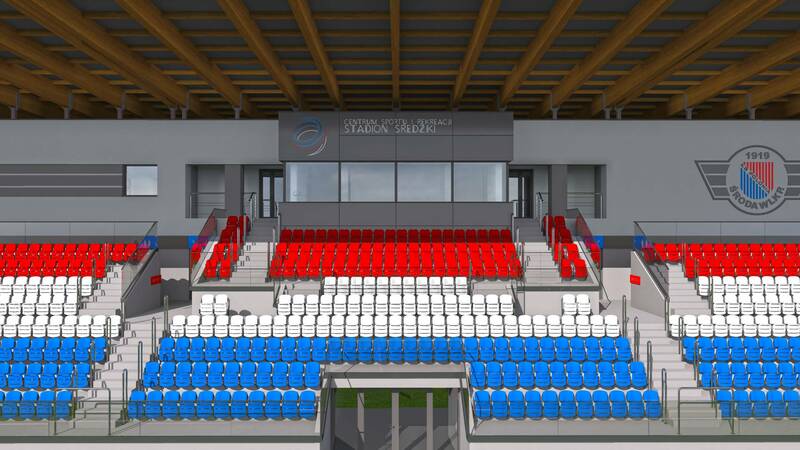 All seats are covered and have good sightlines thanks to the auditorium being elevated 1.3m above field level.